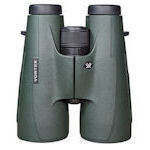 Vortex binoculars are available in a wide range of models for many uses. Their offerings at all price points are gaining rapid acclaim among those who have tried them. All of their models perform well above their price levels. To top it off, Vortex warranties match the best in the industry. They are lifetime, unlimited, and transferable. Razor HD binoculars are Vortex's best binocular line. Characterized by HD glass, improved lens coatings, Razor HD binoculars have very bright image quality with minimal distortion, and close focus to under 6 feet. 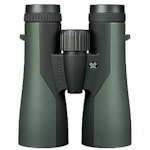 Vortex Razor HD binoculars are high performance roof prisms available in 8x42, 10x42, 10x50 and 12x50 configurations. 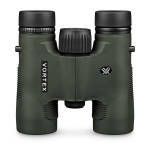 Vortex's highly-rated Viper HD binoculars feature upgraded HD glass and the latest in high-tech coatings. 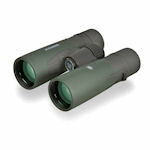 Viper HD binoculars are a diverse line of roof prism designs, ranging from 8x42 full-size to 12x50 super size. All are argon-purged to be totally fog- and waterproof, and are backed by Vortex's VIP unlimited lifetime warranty. Vortex Diamondback binoculars are a very diverse line of economical roof prism binoculars in 28-mm, 36-mm, 42-mm and 50-mm objective lens sizes. 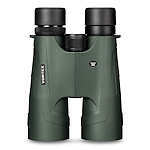 All Diamondback binoculars are fully multi-coated and have phase-coating on the prisms. Diamondback binoculars are argon-purged to be fog- and waterproof. 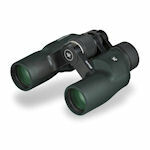 Vortex Crossfire binoculars are an excellent choice for beginning birders, hunters, and nature watchers. Their wide fields of view help you find your subject and their fully multi-coated lenses im prove contrast and light transmission. Vortex Kaibab binoculars are a specialty optic designed to squeeze the last bit of light from the day. 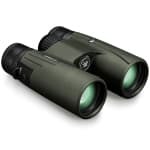 These 18x56 roof prism binoculars are made with HD glass and are fully multi-coated and phase-coated for the brightest distortion-free viewing. Kaibab binoculars are argon-purged to be fog-and waterproof and armored for durability. Vortex Raptor binoculars were designed for the younger user. These porro prism binoculars deliver a bright, crisp image with excellent color fidelity—even in low light conditions. With a wide range of interpupillary distance, this binocular fits anyone in the family, and with their wide field of view, they won't miss anything! Vortex Vanquish compact binoculars are compact reverse porro-prism designs with 26-mm objectives lenses. Available in 8x and 10x magnifications, these little Vanquish binoculars fit easily into one hand for convenience and portability. 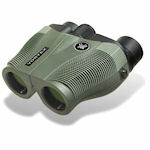 Vanquish binoculars feature fully multi-coated optics for the brightest sharpest images. Vortex Vulture HD binoculars are high-performance roof prisms with 56-mm objective lenses. Available in 8x and 10x models, Vulture HD binoculars are totally fog-and waterproof, and feature Votex's extra low-dispersion HD glass and XR full multi-coating. The ArmorTek coating sheds water and dirt for optimal viewing in any conditions.